You know that Federal Records Management and Shredding can take care of all of your document shredding (or records storage) needs. We are a AAA Certified member of the National Association for Information Destruction (NAID). This means that by hiring us, you are taking crucial steps in protecting your business from non-compliance with HIPAA and other confidentiality regulations. But, did you also know that Federal Records Management and Shredding is certified to train your staff on the requirements and procedures for proper information destruction? This service provides extra protection to your business (and your staff and clients). Should your information protection policies ever be questioned by a regulatory agency, you can prove that your staff has been properly trained by our certified facility. The training program offered by Federal Records Management and Shredding to its clients is easy! Employees watch a short video that shows why proper document destruction is crucial to the organization and their continued employment. 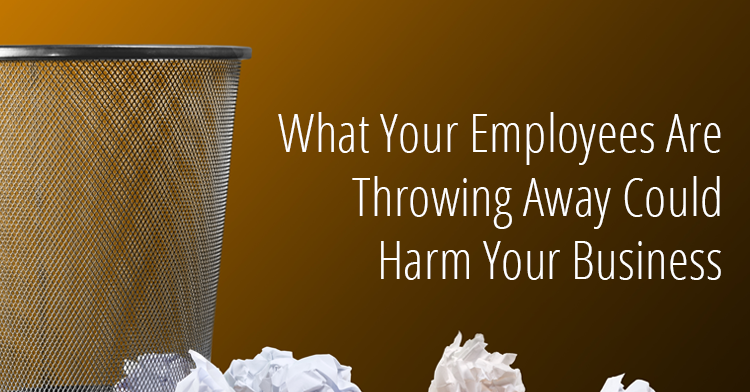 Employees are given written instructions of your company’s destruction procedures. Employees sign an affidavit that they have received the training, understand their responsibility, and agree that ongoing compliance is a condition of their employment. These simple steps protect you, your business, your employees, and your clients or patients! Contact us today to learn more about how we can help your company stay in compliance!